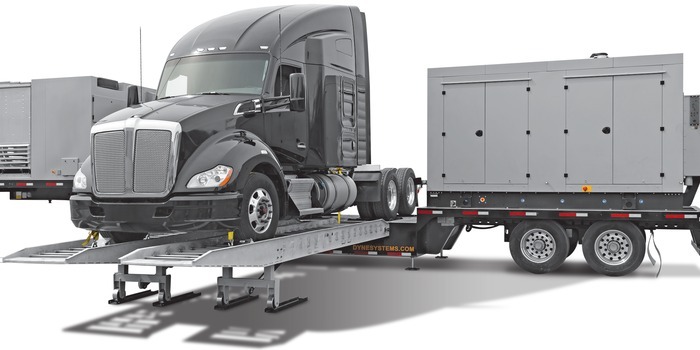 Dyne Systems, a division of Taylor Dynamometer, has announced the launch of a new portable, AC chassis dynamometer, the TD-24-AC-T, specifically designed for testing over-the-highway trucks. The fully-contained, mobile system provides both power-absorbing as well as motoring integrated into the trailer. The motoring function provides downhill simulation. The TD-24-AC-T has chassis rolls with an axle weight rating of 20,000 lb (9,072kg) per axle and a maximum speed rating of 75mph (121km/h). It is road-legal in the USA, Canada and Mexico and the system can endure extreme temperatures and ambient weather conditions. The portable chassis dyno, which enables users to begin testing in less than 60 minutes, offers the ability to set up and test at altitudes of 10,000ft (3,048m).